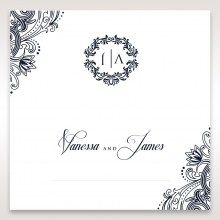 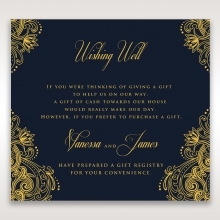 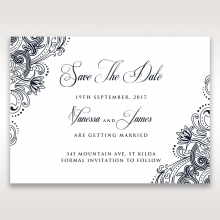 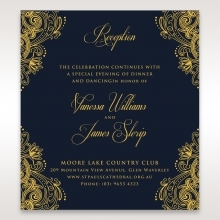 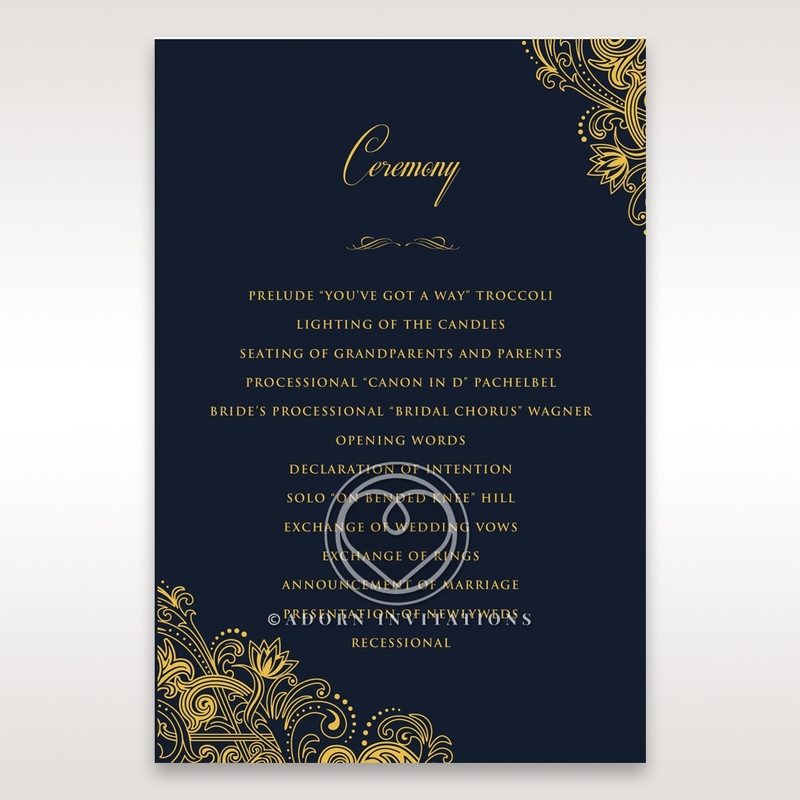 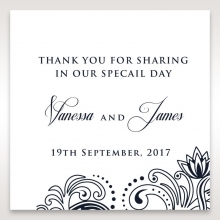 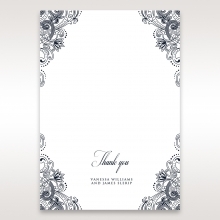 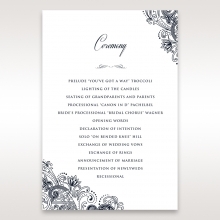 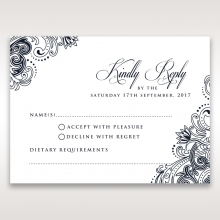 Dazzle your guests with this simply stunning ceremony card. 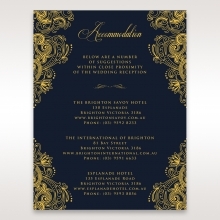 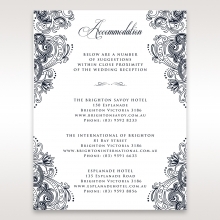 The heartwarming deep navy blue coloured card made of imported cotton paper is bursting with a grandiose flair with its luxurious Victorian inspired florescent decor flowing through the border, standing out through the deep blue backdrop. 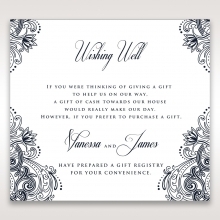 Choose to have the double sized option to give more space to your magnificent ceremony details. 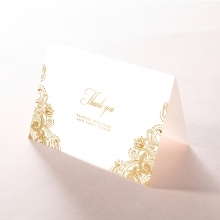 Add more sparkle and dazzle by choosing your own foil colour - you're spoilt for choice with gold, silver, rose gold or bronze. 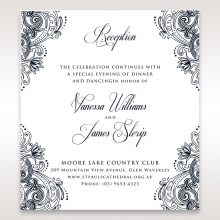 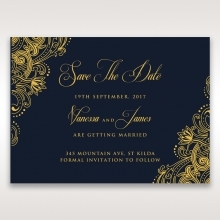 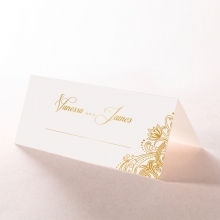 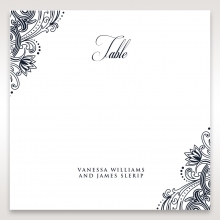 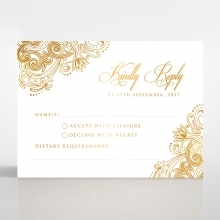 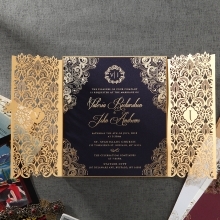 Complete the elegant look of your card by customising the font with your chosen lavish calligraphic lettering.